Photographs taken throughout the state of Georgia. Mainly from the Chattahoochee National Forest and at various state parks. Taken at Driftwood Beach, towards the north section of Jekyll Island, Georgia. Taken towards the end of blue hour, with the Milky Way just about showing up. Sunset at the summit view, Blood Mountain GA.
Big fluffy clouds, intense orange sunset and bright green grass - your typically experience at Jekyll Island, Georgia. Cloudland Canyon - Took this in a storm with the sun setting, in a brief period when it stopped raining, turning the sky pink and lighting the whole area in a pinky glow. Thinking About The Milky Way - The Milky Way and it's galactic core from the summit of Blood Mountain, Georgia. Same driftwood as the Jekyll Island picture on the right but two years later. Long exposure sunrise at Driftwood Beach, Jekyll Island. 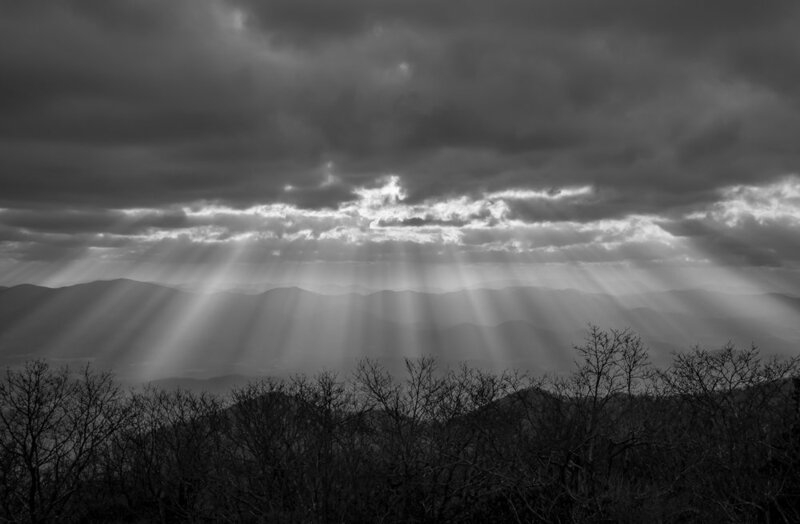 Brasstown Bald - God-rays at the highest point in the State of Georgia at 4,784 feet. 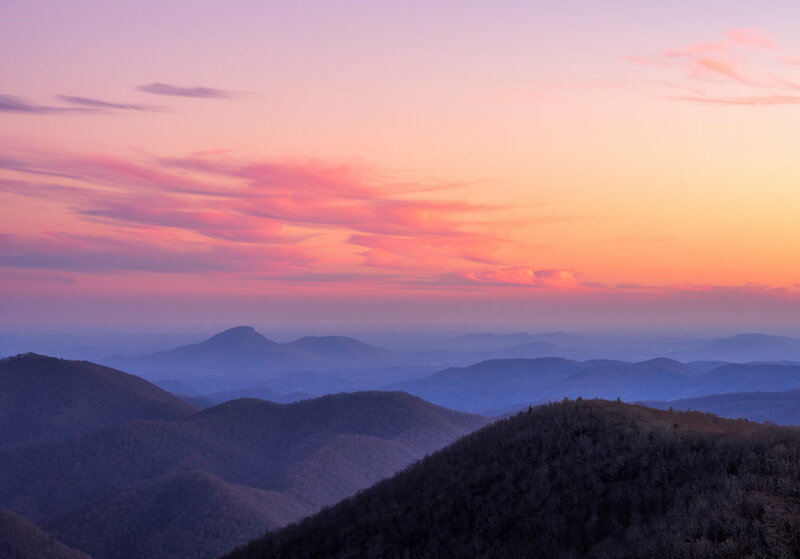 Pink sunset at Brasstown Bald. Atlanta Downtown Skyline - Taken at Jackson Street Bridge on a frigid day (for Atlanta). Piedmont Park, overlooking Lake Clara Meer and the Atlanta Midtown skyline at sunset.